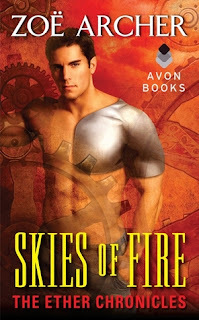 Skies of Fire is the first in The Ether Chronicles, a new Steampunk Romance series from Zoe Archer and the first eARC I have received since signings up with Edelweiss. Both Zoe Archer and her husband, Nico Rosso will be writing stories in this series. His will be Steampunk Westerns and Zoe’s will be Steampunk Everywhere Else. The fact that there would be another husband and wife team writing in a series caught my attention. Here is what Goodreads says about Skies of Fire. Skies of Fire is novella length and was a quick and easy read. Here are my though after reading the story. 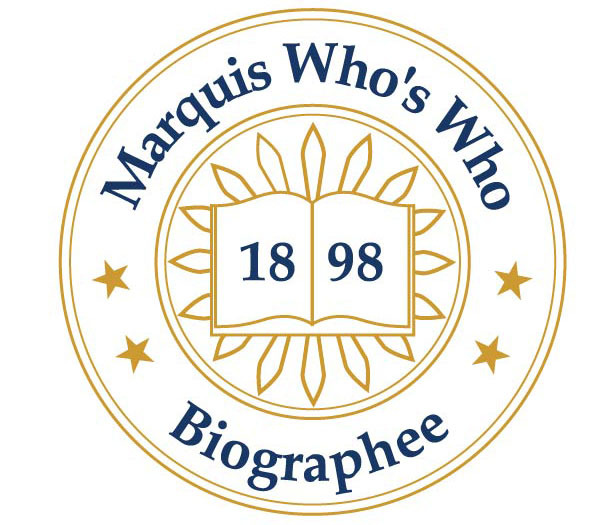 Characters: Christopher and Louisa have to carry the story and with the short length the side characters are just that, mostly names and titles. I did learn a lot about both Christopher and Louisa. There were gaps in their development but those were a result of the story length and did not affect my overall enjoyment. World Building: Zoe had to do a lot of world building in a short time. Some of the background history is just touched on. England is at war and has developed the technology that allows people to be turned into Man O’ Wars. They are part metal and this allows them to power airships. That part is well developed but background history of this time is sketchy. Again it did not affect the story and I expect more will be revealed in future stories. Plot: This is pretty standard but still enjoyable and with some twists. Christopher and Louisa have a history but did not part on the best of terms. He and his airship are behind enemy lines when he sees someone in trouble and detours to help. It is Louisa who he rescues and is then pulled into helping her with her mission. Everything flows from that rescue. Conflict: There is plenty of conflict, both the conflict between Christopher and Louisa and the conflict generated by the mission. Both are enough to keep the story moving. Pacing: There was conflict and then a small rest to let both the characters and the reader catch their breath. The story flowed evenly each action and reaction keeping my attention. There was just enough of each to keep everything moving in a believable direction. All in all it was a fun story to read and I am looking forward to other stories in the Ether Chronicles. When I went to Amazon I found the price for Skies of Fire was right, $1.99 for the Kindle edition. It is slightly more for the paper copy. Avon Impulse published Skies of Fire by Zoe Archer in 2012. A Rogue by Any Other Name by Sarah MacLean, I saw this on two other blogs and decided it was worth a try since Avon had the ebook priced at 4.99, 3.00 less than the paperback. I am glad I did. It was a very well written story that held my attention from the start. This is the first book I have read by Sarah MacLean but she has written three other historical romances. One reviewer said that her writing just kept getting better. 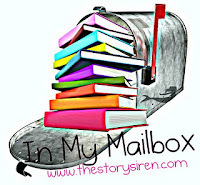 I loved the teaser for the next book and will be looking for it when it comes out. The Temporary Wife/A Promise of Spring by Mary Balogh, The two books are in one volume and a reissue of two of Mary's earlier books. My favorite of the two is The Temporary Wife. I have noticed something reading the reissues. I see elements of later stories in the earlier books. It is a little like a cut and paste. Take one elements here and another there put in a little change and you have a new story. A Beginners Guide to Rakes by Suzanne Enoch - Suzanne Enoch is one of my favorite authors so I don't know why this book sat on my shelf unread for so long. Diane Benchley was widowed and left penniless and alone in Vienna where she met and fell in almost love with Oliver Warren, the Marquis of Haybury. Only he left her without a word. Now she is back in London and opening a Gaming Club in her home and needs help. That is where Oliver comes in. This is a fun story. There is a very incompetent villain. A great setting. And as in any romance a fun journey to an HEA. This is also the first in The Scandalous Brides series so I have new books to look forward too. If you like a light historical romance this one is for you. The Surrender of Miss Fairbourne by Madeline Hunter - I like books by Madeline Hunter and an always glad to see a new one. While this would not be on my favorites list it was a good story. There are secrets, lies, evasions, and finally everything comes out in the open. I just did not identify with the two main characters. Even so all in all a OK read. Seal in Wolf's Clothing by Terry Spear - I met these characters in a previous book and it was good to visit with them again. Once again another werewolf is after the Seals. This one features Finn and Meara. Hunter, Meara's twin, if off on his honeymoon and Finn takes on the job of protecting Meara. Friction, danger, betrayal and romance follow. The title hooked me and a good story kept me reading. Firelight by Kristen Callihan - I have mixed feeling about this book. The hero wears a mask and the reason is both interesting and very different. However there were times I felt lost in the world that Callihan created. I did like the characters. Miranda Ellis is a very strong woman with a secret. Lord Benjamin Archer is drawn to her in spite of secrets of his own. Once he gives into desire and marries her he is driven to protect her from the danger being with him puts her in. 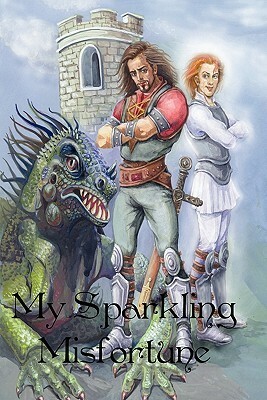 There is a novella and a second book already published in the series. Death Comes to Pemberley by P. D. James - This is the first time I have read P.D. James book so I don't know if this one is representative of her writing. I was very disappointed in the book. The mystery was OK but the characters were wooden. I could never connect with any of them. That may be because she was using someone else's characters. I kept reading and hoping it got better but for me it never did. These are books I read but did not review. What else did you read this month? If you posted a list leave a comment and a link to your post so I can visit and see what else you read. 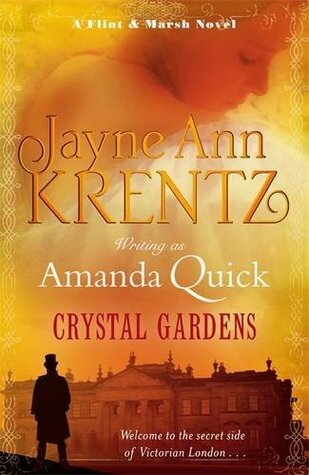 I just started reading of Crystal Gardens by Amanda Quick, an ARC from Amazon Vine. 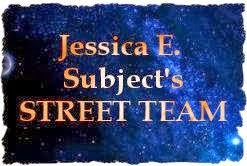 This is the first book in The Ladies of Lantern Street trilogy. Here is the opening paragraph. "The muffled Thud of the shattered lock echoed like a thunder-clap in the deep silence that drenched the cottage. Evangeline Ames recognized the sound at once. She was not longer alone in the house." With Evangeline's skill for detection, and Lucas's sense of the criminal mind, they soon discover that they have a common enemy. And as the energy emanating from Crystal Gardens intensifies, they realize that to survive they must unearth what has been buried for too long.. Characters: Most of the characters from previous book are back. We briefly meet Khalid and Grace at the end of the last book. I liked Khalid in the last book, got really aggravated with him in first of this book and got back to liking him in the end. He is a really fascinating character. Composed of energy he does not have to have a body which could be a problem in a romance but Harrison makes it work and work beautifully. Grace on the other hand is doing her best in a really rotten situation. She has money problems, physical problems left over from the wreck that killed her sister, two young children to take care of and if that is not enough she has inherited the position and all the power of the Oracle. Both Grace and Khalid grow and change as the book progresses. Conflict: At first it looks like the conflict between Grace and Khalid is the main focus of the story. While much of that conflict is internal it is portrayed as dialog between the two. That leads to some really funny and amusing moments between the two. The external conflict is hinted at as the story moves but still caught me by surprise and gave a new twist to the story. Plot: The plot in the book built smoothly and slowly driven by the internal and external conflict. Much of it is character driven and revealed by dialog. Writing: Thea Harrison wrote 16 romances under another name before stopping to get several graduate degrees and raise a child. You can tell she knows her craft. She adds just the right amount of humor to the story to keep the action from getting too intense. I started reading and did not want to put the book down. For me that is the mark of a very good writer. Lord’s Fall is the next book in The Elder Races series. In each previous book a very mismatched pair were introduced and set up for a book where they would find they were made for each other. Didn’t happen in Oracle’s Moon so I wonder what Thea Harrison has up her sleeve. Will it even be a romance? I guess I will just have to wait and see. 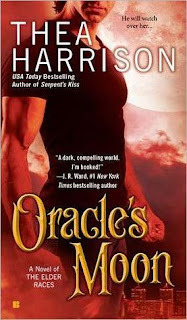 Berkley Sensation published Oracle’s Moon by Thea Harrison in 2012. My Teaser today from from My Sparkling Misfortune by Laura Lond. This was a free book from Amazon and was not what I expected. It is listed as a children's book. I guess I still have some child in me because I through it was really cute and after I finished it I went to Amazon and purchased My Royal Pain Quest, the next book in the series. "Yes, you have guessed it: I am a villain." "But let me tell you something before you put it down: there are no heroes without us villains." This is a very short answer this week. I have read books that stuck with me but I don't remember one that came out of the blue. When a dangerous new drug shows up in Detroit, Des must locate the source, and Lana is determined to help. But their plan goes awry, trapping them in a demon dimension. To return home, Lana and Des must flee through a series of unpredictable alternate realities, fighting enemies while trying to shut down the drug trade. But if they're going to survive, they'll have to rely on each other, even though getting closer will add fuel to a fire that's already burning out of control..
Worldbuilding: There is a lot of new world building in Motor City Mage as Des and Lana travel in alternate realities. It is hard to tell if the world building drives the story or the story drives the world building. Either way it works and is a sign of very good writing. Conflict: There is conflict both internal and external between the two main characters. It is believable and helps drive the story. Plot: The story is familiar. Throw a male and female character together, create a problem that requies them to work together and the journey takes them to a HEA. It is how it is handled that makes each story unique and this story has a great plot that held my attention and had me asking what next? Characters: Both Des and Lana are fleshed out in the story. We learn a lot about their past and how it influences their present. They gradually change and grow as the story flows to a believable conclusion. Writing: Cindy Pape writes a very good story. Everything moves smoothly. There is just enough information. Something I like is for much of the story to be told in the active voice and Motor City Mage has much of the active and little of the passive in the telling. 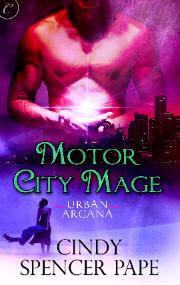 Carina Press published Motor City Mage by Cindy Pape in 2012. Firelight by Kristen Callihan - Nalini Singh is the author of the month and this was on the display featuring her books and others that she choose to read. It sounded interesting and was only $5.99 so I decided to give it a try. Skies of Fire ARC by Zoe Archer - this is the first ARC I have received since I signed up on the site. Musing Mondays, March 5, 2012.